← Our “Bring Your Own Device” is a Success! Recently, I had an opportunity to lead in a restorative justice session. A student had sent out inappropriate emails to several other students. And, the emails had been sent out using another student’s email account and password that he had found. Thankfully, our IT department was able to track down who had sent the offending emails. 1. It would quell rumors. 2. It would give the victims the chance to speak to their aggressor about the impact it had on them. 3. The victims would see that the offender was being held accountable for his actions. 4. It would send a strong message that cyber-bullying and using technology inappropriately would not be tolerated. 5. It would, hopefully, help the offender see and feel the impact of his actions. As one who had argued for restorative justice, I was a little nervous going into this because I wasn’t sure how it would play out. Would students remain respectful? Would the offender? Would the process deteriorate into finger-pointing and angry accusations? So once we had assembled everybody, we outlined the process of going around the circle so that all participants would have the opportunity to speak to the offender. We also talked about the right to be angry and the responsibility to stay respectful in the face of our anger. And then we began. I was so impressed with how the students conducted themselves. Granted, there were three adults in the circle to guide the process, but the students were amazing. Not only did they speak respectfully, they asked the offender some powerful, difficult questions about his actions. One wanted to know how a friend to could do this to another friend. Another about being picked on since grade one and feeling betrayed once again. An another about how the offender could find what he wrote funny. But mostly they wanted to know why. Why them. Why those hurtful words. I’m not certain they got all the answers they were looking for, but I am certain that they welcomed the opportunity to confront the offender and let him know how his behaviour impacted them. And everybody understands that the offender has a tough job ahead of him if he wants to regain their respect and trust. But I know that they will let him if he chooses to do so. After experiencing this process, I am confident that it was the right thing to do. It gave the victims a chance to confront their aggressor and call him on his actions. More importantly, perhaps, it forced the accused to come out from behind the anonymity of his computer screen and deal with his actions and his victims face to face. What might you have done to discipline the student? Do you feel restorative justice was the right thing to do in this case? 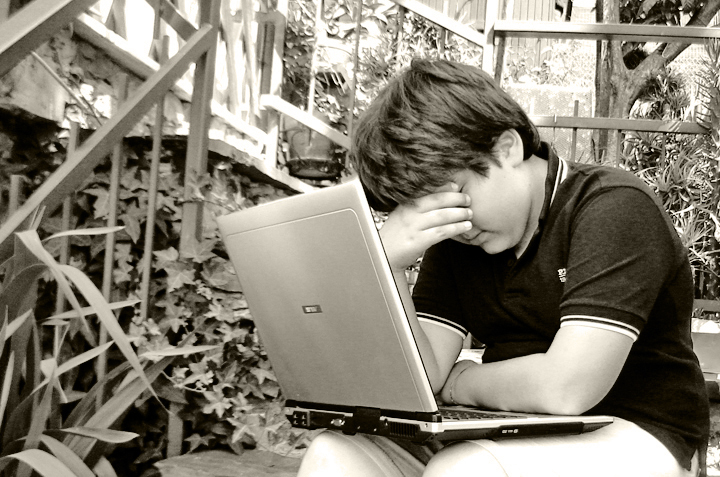 This entry was posted in Education and tagged cyberbullying, Restorative justice. Bookmark the permalink. Thanks so much for this insightful and useful blog post, Sherry! Would you mind if I shared it as part of resources for digital citizenship with the teachers that I work with across the Calgary Board of Education and beyond?